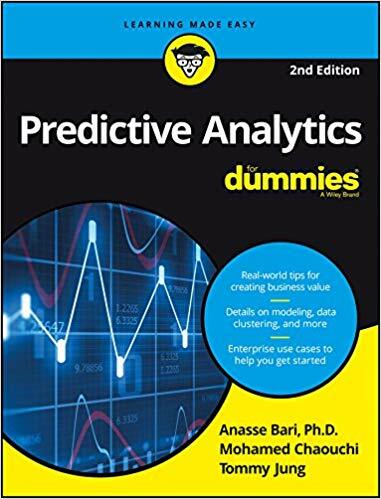 Predictive Analytics For Dummies, 2e will help the you understand the core of predictive analytics and get started putting it to use with readily available tools to collect and analyze data. You will learn how to incorporate algorithms through discovering data models, identifying similarities and relationships in your data and how to predict the future through data classification. You will develop a roadmap by preparing your data, creating goals, processing your data and building a predictive model that will get stakeholder buy-in. The author will also address "soft" issues, including handling people, setting realistic goals, protecting budgets, making useful presentations and more, to help the reader prepare for shepherding predictive analysis projects through their companies.